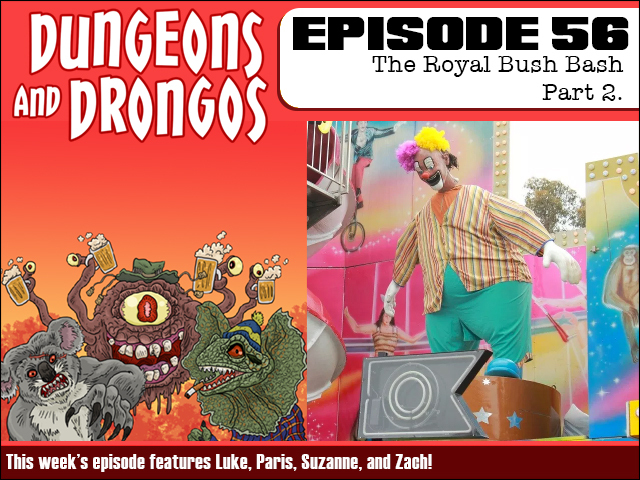 Fruitless Pursuits: Dungeons and Drongos Episode 56: The Royal Bush Bash, Part 2. This week concludes the Royal Bush Bash adventure, guest DM'ed by our very own Paris! The party are finding keys at the county fair in order to find and defeat the mysterious force that is sucking the life and colour from the carnival. What terror lurks inside... the Fungeon! It's Dungeons and Dragons set in Fantasy Australia, you galahs! SUBSCRIBE to us on iTunes - because we do this every week! And here is the RSS FEED. FPcast for September 17 2018: The Predator!